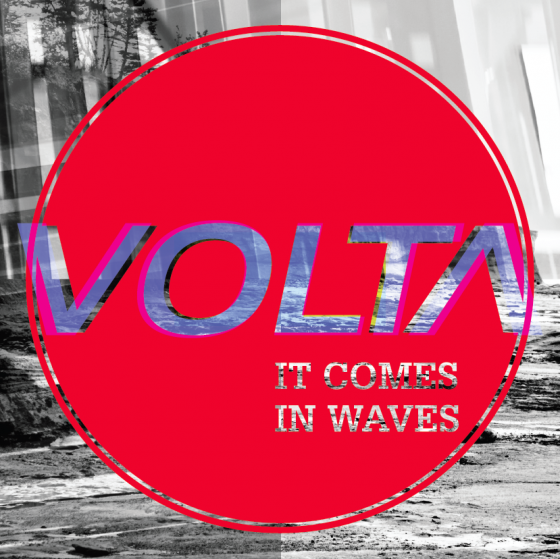 After a brief summer stint in his native homeland of Germany, the German techno kid otherwise known as Volta has returned to his true home, Toronto. With a forthcoming EP entitled, It Comes In Waves slated to be released on Raving Looney Records this November 10th, his roller-coaster ride into the spotlight of fame has begun its climb. The EP has seen support from Adventure Club, SCNTST, John Roman, Germany Germany, StrobeHypnoticz, and many more. In addition, he’s just wrapped up his entry for Torro’s Torro’s remix competition of Country Club, which is receiving similar support and praise. His goals are big, they’re audacious, and they are hairy! No razor needed, just keep your eyes on this kid folks! Christian, your presence on the site is a pleasant one, thanks for your time! Tell me, how was Germany? Has the euro experience effected your work? Germany was amazing! I think the biggest thing I can take from my experience in Germany – especially Berlin – with regards to my work is that I noticed the importance of rhythm and mood in techno music. Over there, a DJ can’t get away with just playing noise and heavy bass to keep a crowd moving. The electronic music played in most clubs, and literally everywhere else, is primarily minimal, so you really focus on the small things that make people dance and build tension. I think this attention to detail will be reflected a lot more in my upcoming work, and is especially important in developing a DJ set that flows and keeps people entertained. I guess Skrillex won’t be moving to Berlin anytime soon. haha. Well, your experience seems to have helped you immensely in growing technically. While you were in Europe i noticed you attended Tomorrowland, how was the festival? How did the festival compare to that of a North American festival? Were there any other memorable events, shows or venues in which you attended? I think one look at the Tomorrowland recap video would explain it better than I possibly could. I can’t really compare it to North American festivals because I’ve only been to Electric Zoo in New York, but I’m gonna have to say Tomorrowland wins. Unfortunately the previous night’s activities prevented me from seeing TAI’s afternoon set on Sunday, which probably would have taken the cake that weekend. Other than that, I loved Dada Life, Felix Cartal and the Afrojack/Steve Aoki duo to finish off the weekend. Two memorable shows were definitely Madeon’s first at the Paris Social Club and SCNTST’s debut at Icon Berlin. I also went to Amsterdam to see Boys Noize in April which was easily one of the top 3 shows I’ve seen. I must admit, you just made my jealousy meter shoot for the sky. Good thing i have Madeon ticked off as well though! Speaking of Boys Noize, how big of an influence is Alex on your work? I’m assuming your presence will be at the Hoxton for Boys Noize, Nov 24? I’d say he’s the biggest influence on my music at the moment, along with everything else released on his label. Boys Noize Records always seems to be a year ahead in terms of releasing innovative music and there’s so much variety between all of the artists that it provides a ton of inspiration for producing creative stuff that hasn’t been done before. I’ll definitely be there! So far I’ve had to go to Montreal, New York and Amsterdam (when I was in Cologne) to see him. BNR, always one step ahead of the game. Now that we’ve established your influence, how does your production process look like? In laymans terms, once influenced, how do you go about beginning a new track/remix? In addition, how did you go about producing your EP? Was it a lengthy arduous process or did the creativity flow smoothly? It changes for every track to be honest. Sometimes I get to work on something without having any plan at all. I’ve only being doing this for about half a year so I’m slowly starting to figure out how to produce tracks the way I have them in my head rather than sitting in front of FL Studio and seeing what happens. Remixing is a bit different because there is usually something specific I want to change or add to the song. For my Torro Torro remix I wanted to take out the moombahton, and for my remix of ‘Nerve’ I wanted to add a kick drum haha. I didn’t really plan the EP…it came from a lengthy period of boredom and lack of social life. I was doing a three-month internship in Germany where I did nothing outside of work but produce music every night and eventually I had about 15 tracks done. I chose my best 5 and within a few weeks got in touch with Raving Loony Records in Hamburg and started planning the release. Amazing, and that’s all there is to it folks. I always love hearing how different artists work in the studio. You mentioned that your productions only kick started half a year ago, which on the production/artist time-line typically means your still in the infancy of your musical career. At your stage, you are your own promoter, manager…etc. How has the multi-role responsibility been like for you? It must be stressful but yet a rewarding learning experience, right? actually love it. It’s cool to be in control of everything you do, and I talk to a lot of interesting and influential people along the way when I’m doing promo for my own stuff. I had a very talented graphic designer create my EP cover and a lot of my promo comes from DJs including my tracks in their mixes and radio broadcasts, so it’s definitely a team effort. The rest is up to the blogs and social media to take care of. I’m also very grateful to have the label behind me as well because it adds a lot of credibility in terms of reaching out to blogs, doing and receiving remix requests, talking to clubs, etc. I don’t have booking management right now and probably wouldn’t consider doing it myself so finding a manager will probably be my next step once I decide to start doing shows. Calling all artist managers! Volta is seeking management. Cody Lk, David King where are you? Haha. If you had to hand out one bit of advice to those countless freshmen producers/djs seeking the same musical pot of gold, what would it be? Not sure if I am in any position to be giving advice considering I’m so new to the whole thing as well, but I i would say definitely wait until you’re production is as good as it can be before putting it out there. I see so many people upload half-done tracks and experiments on SoundCloud, which won’t do any good if you’re trying to build a following and decent reputation. ‘Ado’ is a perfect example of how to do it right – he uploaded a teaser of his EP ‘The Ultra’ on Fake Blood’s ‘Blood Music’ label and nothing else. Three amazing tracks, and that’s all we know about him (on soundcloud anyway). It keeps you interested in what he’s doing next and you can be assured it will be quality. Great tip. I couldn’t agree with you more, quality over quantity wins every time. 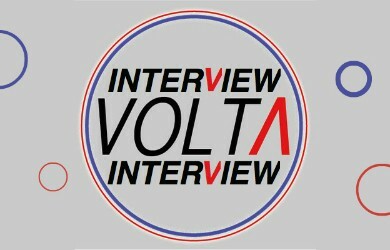 Well friend, final question and relating back to quality, what is on the books for Volta in the upcoming months and beyond? I have two official remixes coming out very soon. One for NEEDS and one for Rob de Large which will both be massive. I’ve also produced two new tracks that I’ve sent to Steffaloo, whose an extremely talented vocalist and musician from LA. She will be singing on at least one of them so I’m excited to release that as my first collab project and actual track with vocals. Then I guess it’s time to work on my next EP! Haha, likewise. Thanks for the interview man!